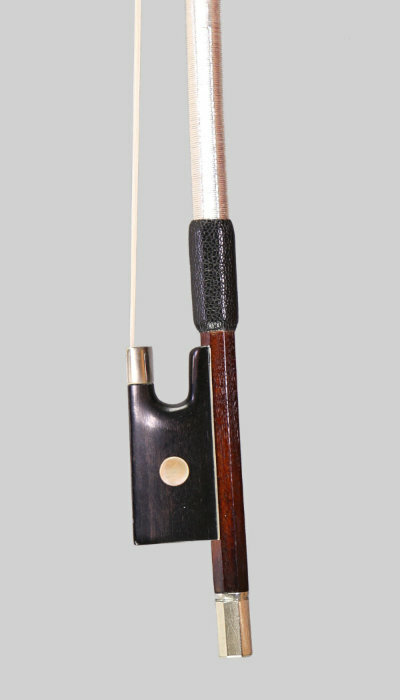 Weight and Total Length Weight 59.2 grams, Length 74 cm. 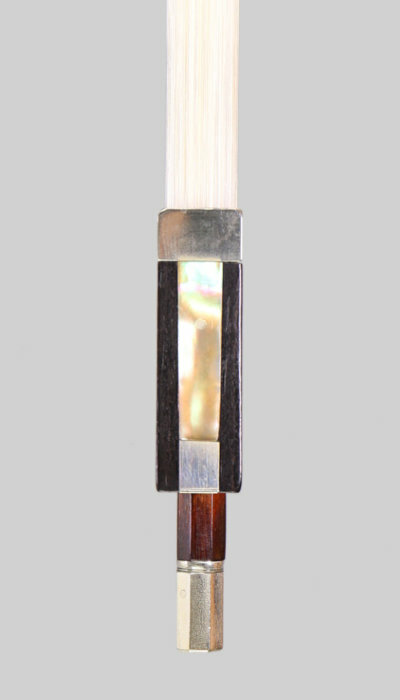 Balance point from tip of winder - 266 mm. 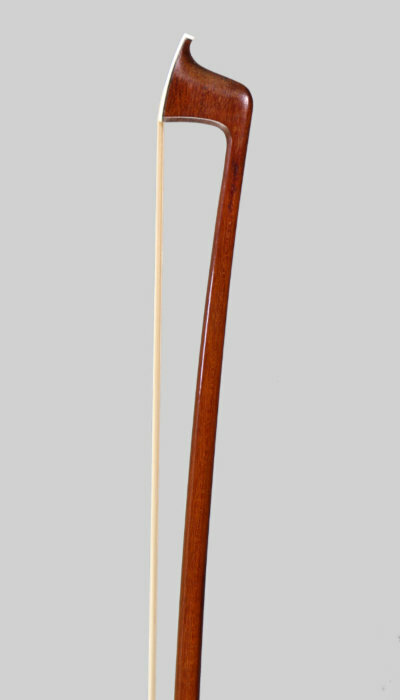 A superb nickel mounted pernambuco bow made by Emile François Ouchard (père) This bow was made for George Cone & Sons and is signed on the stick G Cone & Fils a Lyon. This is a fine example of his work in near mint condition with just very minor blemishes. Finished in a warm brown patina, circa 1930. A superb players bow!